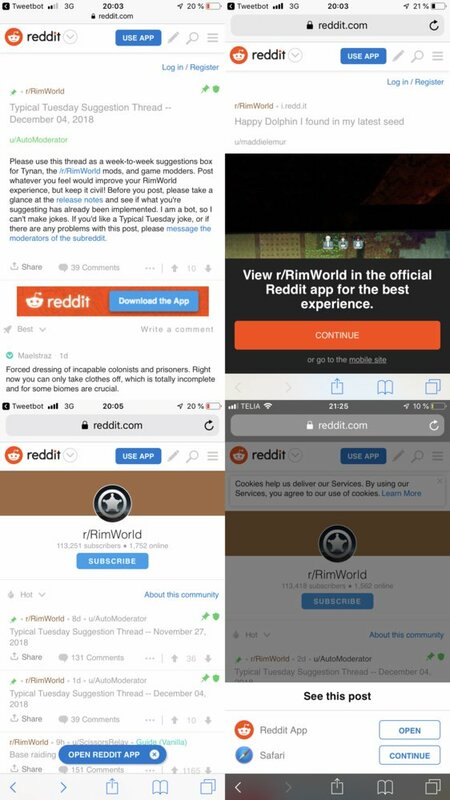 dmitriid: We get it, *download our app* Reddit. We really *try the app* truly do get it *open in our app* that you *open app* want us *app* to *mobile app* use *official app* your mobile app. If only you used that cookie consent to save the preference that no, I don't want your mobile app, and that I've already said no to the thousand or so banners. Nikita Prokopov, Rakhim Davletkaliyev, Ivan Grishaev, Dmitrii Dimandt. 2019. All fights retarded.